Venues: Space for Everything You Want To Do. "I love, love, love this place...I've spent so much time in small villages in the Netherlands that this makes me feel homesick. It resembles them so much!" 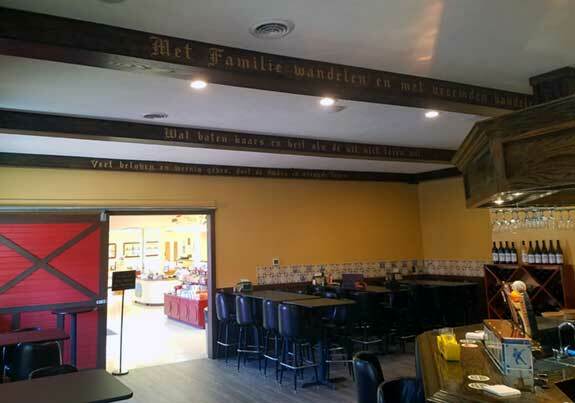 Nelis' Dutch Village has always been an entertaining family experience. Now with the new spaces we've created throughout the park, we have a great venue for for your group too. Whether you've got 10 or 500, we'll make it easy for you to have an event to remember. 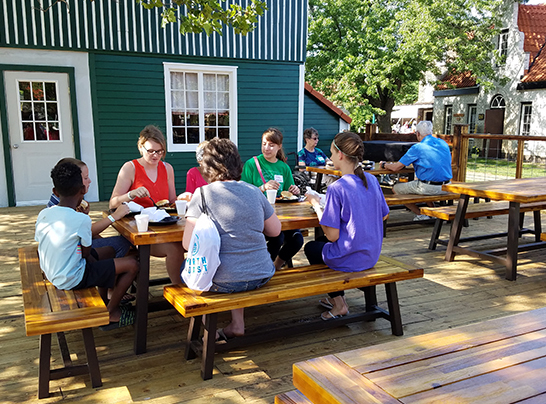 Our new patio space is perfect for your company picnic, family reunion, school reunion, church potluck or just a friendly get together for friends. We'll provide the right space and amenities that will make it memorable with seating for up to 150 and shade for those warm summer days. Het Terras is designed for local and travel groups looking for a large picnic space with built-in fun for families. 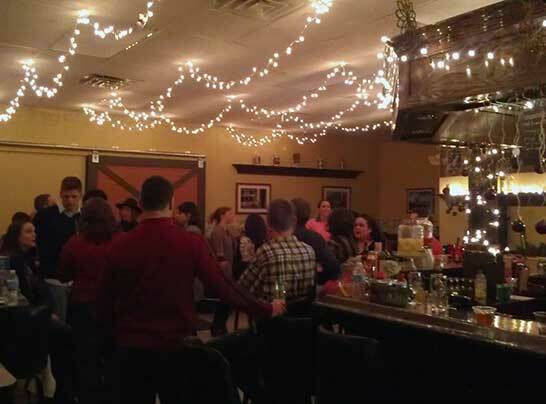 We continue to expand and enhance the space to make it perfect for your group. The food service area of Het Terras offers a large grilling station along with easy-access countertop space for buffet-style catering. There are ample electrical outlets for your group to host a potluck meal at Dutch Village. Het Terras is located next to the Nutty Dutchman ice cream shop. You can easily add ice cream treats for your group event. 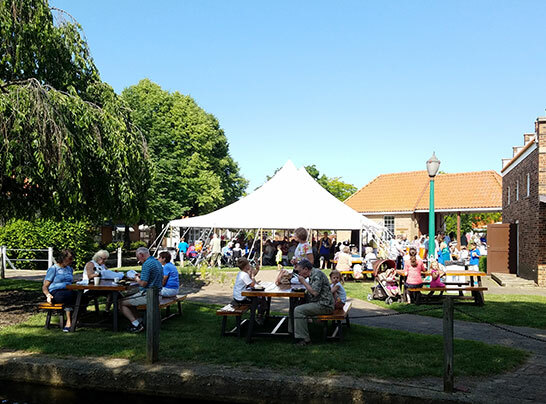 Het Terras has two connected patio spaces and is available throughout the season for groups large and small. The Thirsty Dutchman provides a cosy, intimate and private rental. There's indoor or outdoor seating for your guests. We'll provide food or you can bring in your personal caterer. Beer, wine and cider service is included. Beverages from our new coffee bar are also available. The pub features local craft brews on tap, local wines, and beer and cider in bottles. The Thirsty Dutchman can seat a group of 35 in the pub. You can add the Hungry Dutchman Cafe seating for an additional 60. The deck outside the Dutchman can seat 90. 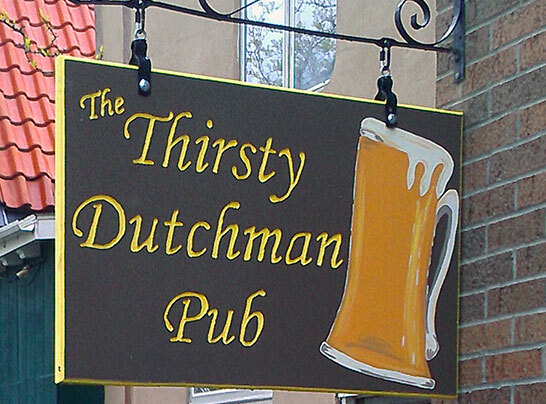 We recently remodeled the Hungry Dutchman Cafe and Thirsty Duthman Pub to flow from one setting to another. Larger groups will feel they are in the same room when both spaces are rented. Multiple picnic tables are available throughout our park for small groups. These tables can be reserved. We can also provide tent service for larger groups combined with our Het Terras patio space. Tents are perfect for large groups and must be reserved in advance. One of our next projects is converting our Bioscoop building into an indoor banquet hall for large groups. At Dutch Village, we are constantly improving for you. Stay tuned to see what we can do with a new indoor Banquet Hall. Family or Class Reunion? Corporate Outing? Organization Meeting? 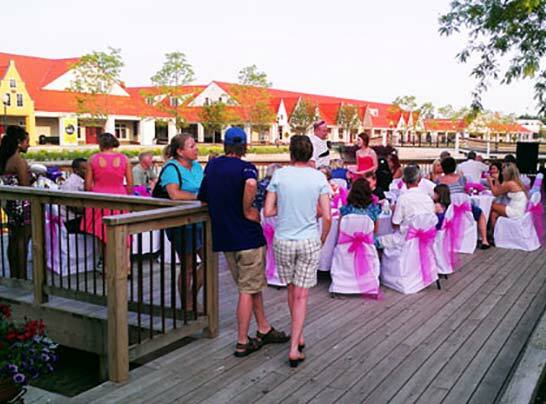 Dutch Village can provide a beautiful backdrop for your next event. 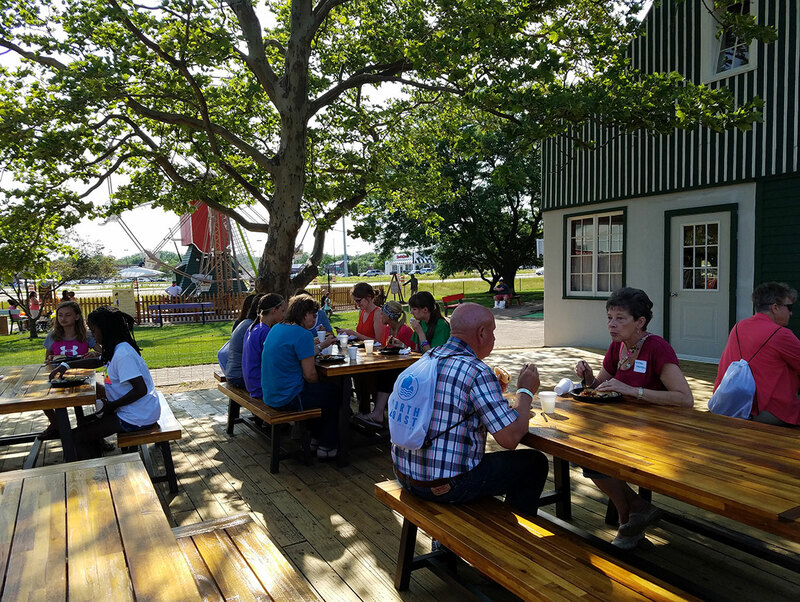 Find out more about hosting a group event at Dutch Village on our Group Information page. Dutch Village is here for your group. 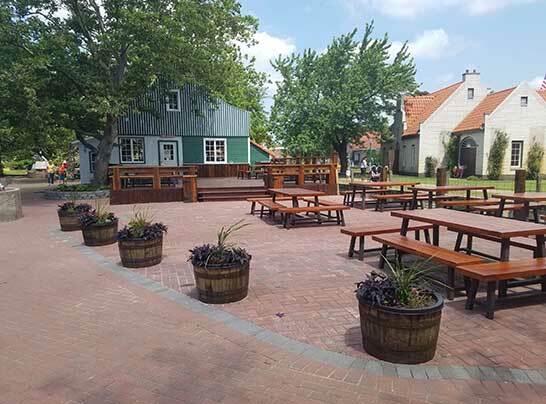 Nelis' Dutch Village makes it easy for you to plan your group event. We can handle your group of adults, children or seniors with multiple venues, food and admission options. 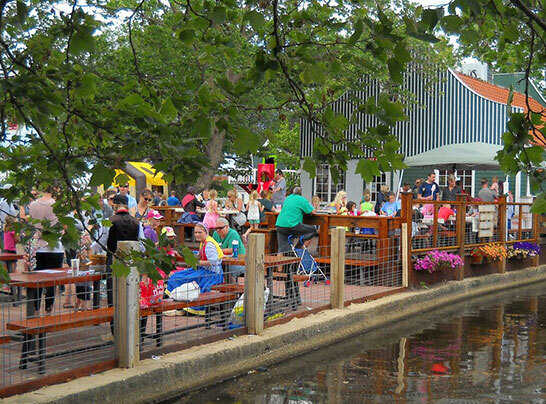 From exclusive events to off-season dinners, you can have it all at Nelis' Dutch Village.